The vibrant colors and attractive graphics are sure to get your students motivated and excited about learning. 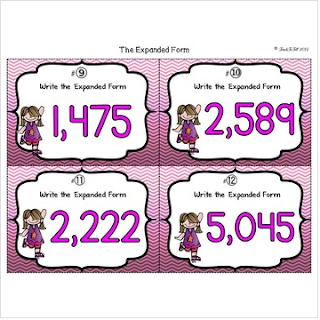 This product is included in ‘Place Value Math Centers Common Core’ task card bundle and is one of 13 different activities and 20 of 256 task cards that focus on generalizing place value understanding for multi-digit whole numbers in your math centers. A great addition to your existing Place Value resources!